Quality and convenience are now yours: JAG Plumbing Products is proud to partner with Home Depot to offer its customers the convenience of ordering CONTRACTOR PACKS of Canadian Made ACCURIMP PEX Fittings on line. Canadian Made AccuCrimp Pex Fittings provide a perfect ring positioning every time. The Pex material is superior to brass fittings in aggressive water conditions and resist mineral build-up and corrosion. These PEX products have an exceptional mechanical toughness. Caution: solvents, glues, lubricants, pipe dopes, thread oils and pastes should not come into contact with these PPSU fittings. This product is guaranteed to be free from defective materials and workmanship for 5 years from date of purchase. PVC material is Corrosion resistant. Temperature rating 140F. PSI is based on water at 73F. Derate 50% at 110F and 78% at 140F. Used to Plug 1 Inch Poly Pipe. NSF Approved. Safe for Potable Water. Good Chemical Resistance. Widely used in the Pool and Spa Market. Temperature Rating 73 F - Cold Water Applications. 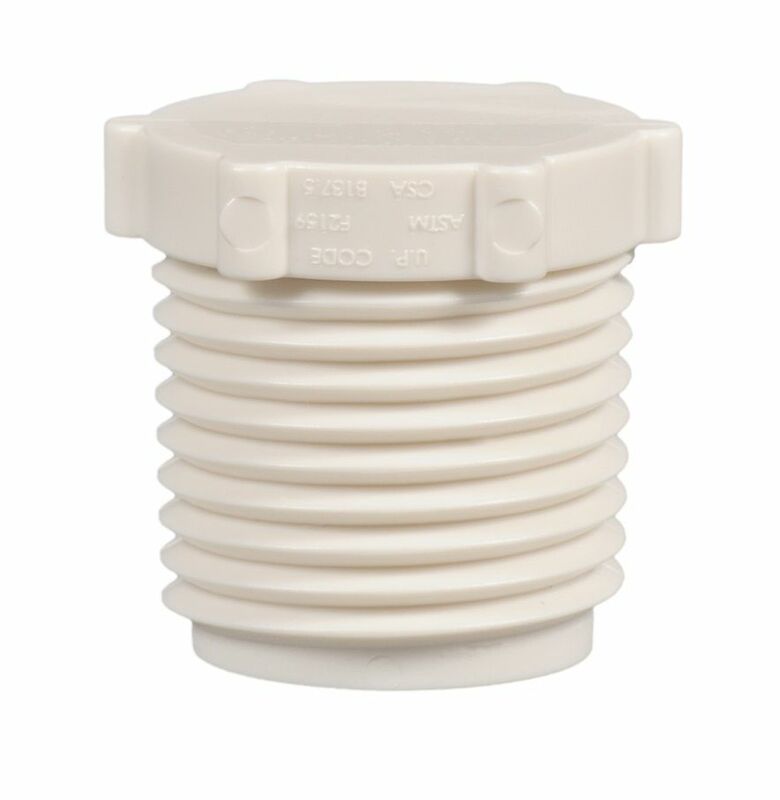 1/2 Inch Mpt Pex Plug (25 Pack) Quality and convenience are now yours: JAG Plumbing Products is proud to partner with Home Depot to offer its customers the convenience of ordering CONTRACTOR PACKS of Canadian Made ACCURIMP PEX Fittings on line.